Footage has been passed to the Hunt Saboteurs Association showing members of the Kimblewick Hunt releasing a captive fox to be chased and killed by the hunts hounds. Their actions not only cause unnecessary harm to the fox but are also carried out to facilitate illegal hunting. The footage was filmed on New Years Day when the hunt met at Moreton, Thame, Oxon. It shows the hunt terrier men using draining rods to force the fox, that they’ve been holding captive, out of a drainage pipe then being thrown into the wood for hounds to chase. The terriermen can clearly be heard communicating with the huntsman agreeing when the best time is to release the fox which is given a brief head start so that the hunt riders experience a chase rather than a quick kill. Lee Moon, Spokesperson for the Hunt Saboteurs Association, stated: “Incidents like this prove time and again that hunts throughout the UK are still totally focused on hunting and killing live animals. In recent years the South Herefordshire, the Middleton, the Pytchley, the Belvoir and now the Kimblewick have all been implicated in keeping captive foxes to hunt, showing that this behaviour is commonplace amongst hunts. Even with this concrete proof of illegal hunting, on one of the most high profile days in the hunting calendar, we expect the MFHA to do nothing. Unless they immediately suspend the Kimblewick it’s an admission that this kind of activity is still commonplace amongst their member hunts and considered totally acceptable in the hunting community. In 2018 the Kimblewick killed 97 of their hounds due to an outbreak of bovine tuberculosis at their kennels. It beggars belief that hunts are still willing to maraud across the countryside putting both their hounds and other animals at risk of infection. After viewing the video Chris Williamson, Labour MP for Derby North, and a former hunt saboteur, said: "Hunts up and down the country are routinely flouting the hunting ban. "This arrogant disregard for the law of the land can only be stopped if the loopholes in the legislation are removed. “That is why Labour have recently pledged to strengthen the Hunting Act and ghastly incidents like this underpins that commitment. "Tougher penalties are essential, including prison sentences for persistent offenders, if we are to deliver the wildlife protection that parliament voted for over 14 years ago." On New Years Day the hunt met in Moreton, Thame, Oxon. 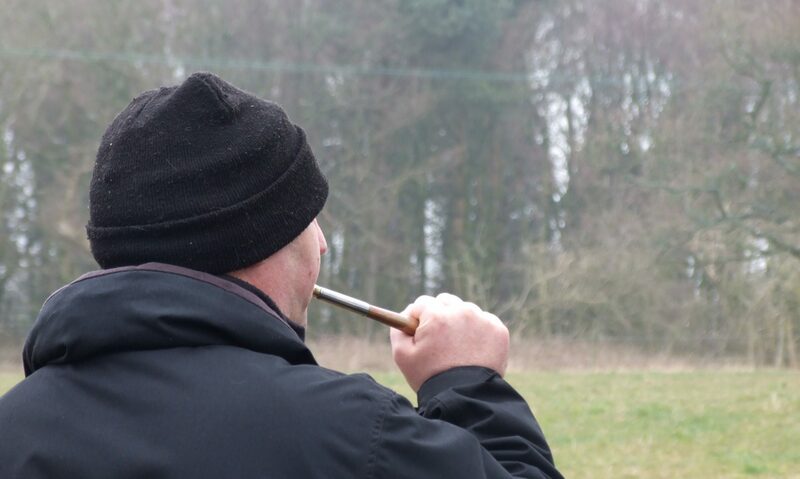 The Kimblewick’s Master huntsman is Andrew Sallis and the kennel huntsman is Robert Truscott. Either may have been hunting them when this incident took place. In the video the hunt terriermen can be seen forcing a fox out of an artificial earth using drain rods. Mark Vincent (on the Left) can clearly be heard talking to the huntsman on his phone agreeing when is the best time to release the fox. Once the hounds are close the fox is thrown into the wood for hounds to chase. The fox is given a head start as the hunt are aiming to provide a chase for their supporters to enjoy. When the hounds arrive they are encouraged on by both the terriermen and the huntsman in the background.